Realm Royale from Hi-Rez Studios only released less than two weeks ago on Steam, but the battle royale game has already begun to gain traction with players. The early access game has already reached a peak of 104,557 players, according to SteamCharts. To put that into perspective, the game with the 10th-most peak players all-time on Steam is Left 4 Dead 2 at 161,590. So what is Realm Royale? What makes it fun? What sets it apart from games like Fortnite and PlayerUnknown's Battlegrounds? Realm Royale was originally known as Paladins: Battlegrounds. It was initially a battle royale mode of the team hero shooter Paladins, with the title's characters playable in-game. But somewhere along the game's development, decisions and changes were made. 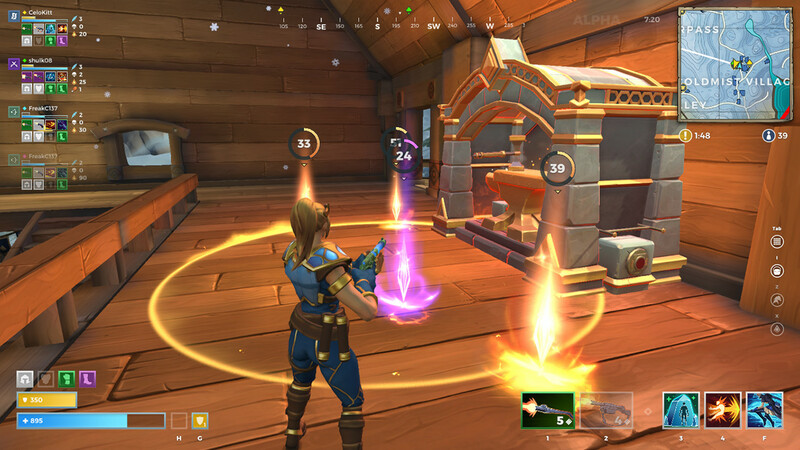 Now, Realm Royale features five unique classes as opposed to Paladins' heroes, and the game has little to no connection to Paladins at all, anymore. It's a battle royale in a mystical, medieval setting, and it's actually pretty fun. The five classes in Realm Royale are Warrior, Mage, Hunter, Assassin, and Engineer. Each class comes with its own unique abilities and weapons that can be found in chests around the map, or crafted at a Forge. Here's where Realm Royale is unique. The crafting system really puts a wrinkle into the old battle royale formula, since you can break down unused weapons and abilities to create shards that can then be used to craft items at a Forge. You can craft Legendary class abilities, Legendary class weapons, and Legendary armor at a Forge. Armor is equipped in four slots via the head, arms, chest, and legs. The higher the rarity of each armor piece, the more armor you gain, and armor can be repaired with potions that can also be found or crafted. Each class' abilities set them apart from one another. The Mage, for example, can fly and cast fireballs, while the Engineer can jump really high into the air or place down automatic turrets that will fire at enemies. Playing each class and figuring out which one suits your playstyle is a lot of fun. The classes have their own special weapons, too. The Warrior gets a throwing axe that deals massive damage, the Hunter gets a bow, the Assassin gets a sniper rifle, and so on. Each weapon is good in different scenarios. The best part about Realm Royale, however, might be the chickens. That's right, chickens. When you're downed in Realm Royale, you turn into a chicken and can do nothing but run around and squawk while a funny chicken song plays. If you're able to survive for 30 seconds, you revive with less than full health. If not, the enemy hunts you down and you're out of the game for good. It's a fun and cute take on the "downed but not out" part of battle royale games. 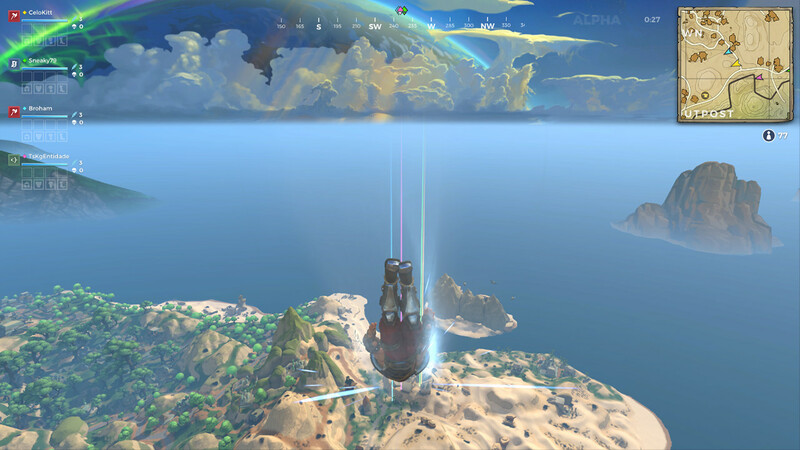 Realm Royale is a refreshing and fun take on the genre, and Hi-Rez sees its potential for popularity because the developer has already updated the game numerous times since it entered early access alpha. If you're a fan of BR games, why not give Realm Royale a try? It's free-to-play, so you have nothing to lose.